Ezgi is a dermatology nurse with a career interest in cosmetic therapies. After completing a Diploma in Beauty Therapy early in her career, Ezgi spent 5 years working in the purely cosmetic field, before undertaking her Registered Nurse training at Notre Dame University. 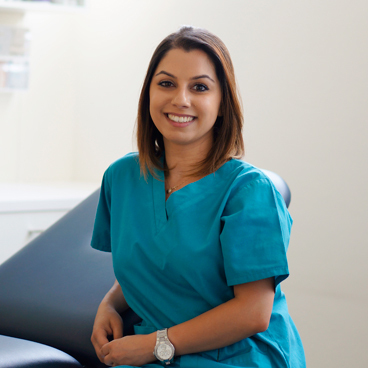 An active member of the Australian Dermatology Nurses Association, Ezgi works alongside our Specialist Dermatologist team providing clinical support for a variety of patient groups, particularly those undertaking specialist treatments for psoriasis. Indulging her passion for the cosmetic aspects of Dermatology, with her extensive experience in laser and skin needling treatments, Ezgi is able to offer a variety of services for patients to treat the signs of aging, rosacea, acne, acne scarring, photo damage, leg veins and fungal nail bed infections.